LaRocque Homes exists to be the Benchmark of Excellence for the construction industry. As a residential specialist, LaRocque Homes focuses on the customer experience from start to finish. Having a combined 20 years of experience in the residential industry, brothers, Kyle and Brennan, have worked hard to establish a solid network of subcontractor and vendor accounts to better serve their clients. Their diligence in seeking to work with the best people in the industry is what allows them to provide you with not only a great product, but also great service! “We have meticulously developed relationships with trades and vendors to ensure our ability to provide our clients with the highest quality of workmanship and service”, says Kyle. As a full service design-build firm, we have the systems, personnel, and resources in place to give our clients the building experience they aren’t finding elsewhere. “It’s been an incredible ride these past few years! We have been so blessed to work with so many wonderful families. It is our focus and priority to continue to guide this company as an industry leader in the customer experience. I’m so excited about the future of our company and wanted to say a huge Thank You to all of the families that have been with us along the way! I look forward to hearing from and meeting all of you, and cant wait to see what projects you have in store for us this year! It is our focus and priority to continue to guide this company as an industry leader in the customer experience. Our focus is as much on the client and home building experience as it is the home its self. We want to help you build the home of your dreams and with that we are proud to go where you need us to go. We build in local communities in and around Lake Charles with our available lots but our custom homes can be build on your own lot or land. With a large selection of available floor plans and home designs we have everything you need to inspire your home-building dreams. 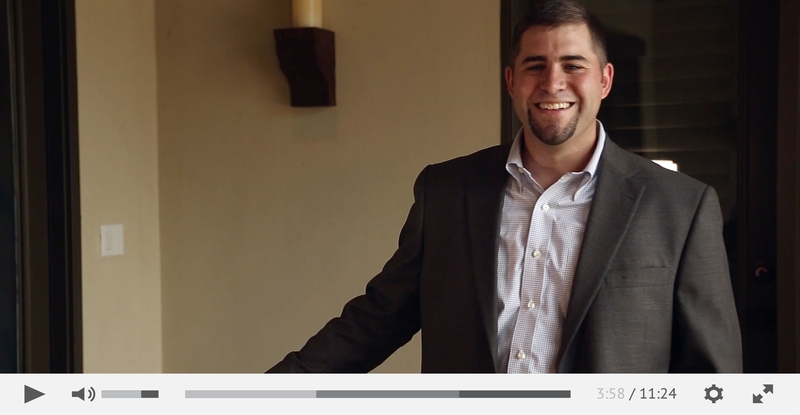 We purchased a new home and hired Kyle LaRocque to handle some additions/finishes we needed. This included custom shelves and cabinetry; shutters, shower doors, among other things. One of the things we needed was outside the box. Kyle came up with the perfect solution and designed and executed it perfectly. He is very professional and reliable. We have recommended him to others and would be happy to use him again. We knew from the first visit with the LaRocque Group that this was the company to help us create our dream kitchen. Kyle the owner understood our vision, budget and timeline and worked closely with us to make sure we got everything we wanted. The project manager on the job was phenomenal and we were always keep updated on the progress throughout the entire process. We could not be any happier with our new kitchen and choice of remodeling company. Kyle and his team exceeded our expectations! He took a home that I had nick named "The Box" and made it exceptional. I am very detailed oriented and they did not miss a thing. Kyle has a very good design esthetic so I really feel that is why the project turned out so perfect! Thank you for making this house feel like home. When my wife and I were planning to build our new home we wanted to find a good quality contractor that could bring our vision to life. Choosing LaRocque Homes was the best decision that we could have made. From the first sit down project meeting to the final touches, our experience was great. They use good contractors to give you the quality craftsmanship that any home owner would want. Kyle and Brennan are efficient in planning which kept the progress of our build flowing smoothly and ahead of schedule. We were engaged in every stage of the project. We would have frequent walk through's of the house to discuss progress and what was coming next. There knowledge and ideas of building custom homes made our vision even bigger and better than when we started. We couldn't be any happier with our new home and would hands down use LaRocque Homes again. After a fire that destroyed/damaged a good portion of our home we needed a contractor we could trust to redesign/build our new home in a timely manner that would keep us and the insurance company happy. We reached to Brennan and Kyle who we have known since their T-ball days. Our house was truly a custom build as we converted from split level home to a single level home with a much larger footprint and tons of unique features we desired. We were very pleased with their help working with our insurance company, guiding us through the design process, assuring quality construction of our new home. When you build there “will” be issues that pop up after the sawdust cloud clears and the trucks are all gone. B & K stand behind their work and all of our issues were addressed to our satisfaction. My wife and I had been overseas for 6 years and had sold our home before we left. On our return to the States, we started making inquiries and found that Kyle and Brennan LaRocque were building homes. This was our first home to build and we had no idea what was involved or how to proceed. The LaRocque brothers assured us that they would take care of us and make the process easy. At the time we began, we were living in Nashville and did many of the preliminaries through emails and phones calls. It was 3 ½ months from the pouring of the slab until we moved into our home. We love our new home. There were some issues but the LaRocques promptly resolved them. They were always professional and efficient. LaRocque Construction, LLC is a quality builder with integrity and the goal of taking care of their customers. We highly recommend them for your next home project. 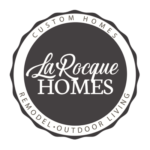 LaRocque Homes has extensive experience in building custom homes in the Lake Charles and surrounding area. Our homes are highly customized to our homeowners with the goal of exceeding expectations.